I recently hit some milestones with my blog including passing the one year mark, and reaching my hundredth post. While those were exciting moments for me, I want to continue to challenge myself and to grow my site while developing content that will connect with my readers. Last year I participated in the A to Z Challenge for the first time and I am looking forward to taking part again this year. I love the creativity that comes from working with constraints such as those provided by the A-Z challenge. Weekends in Maine is about optimizing life in Maine. Last year, my posts were all related to Maine but since my entire blog has that focus it seemed a bit like cheating when deciding on a theme again for this year. It didn’t really feel specific enough. So instead, I’m going to drill down and focus on one particular area of Maine. My A to Z challenge posts will highlight things that are “made in Maine”. I will be featuring local artisans and creative businesses throughout the state that caught my eye. It’s been fun to research and learn more about all the great things that are made right here in Maine. I’m a huge fan of the buy local movement and think it’s exciting to discover something made locally. It’s probably why I’m a craft fair junkie. I’m also an even bigger fan of treading lightly on the planet so wherever possible I have highlighted companies that have a focus on sustainability and environmentally responsible products and practices. This won’t come into play for every post, but on those letters where I had a choice between multiple companies, I usually leaned green. It’s a bit of a sub-theme. Once you start looking deeper, It’s amazing what you learn that you had no idea existed in the world. I had an abundance of choices for each letter, other than “X”, but I’m sure I’ll figure that one out too even if I have to get “creative”. Because isn’t creativity what it’s all about? 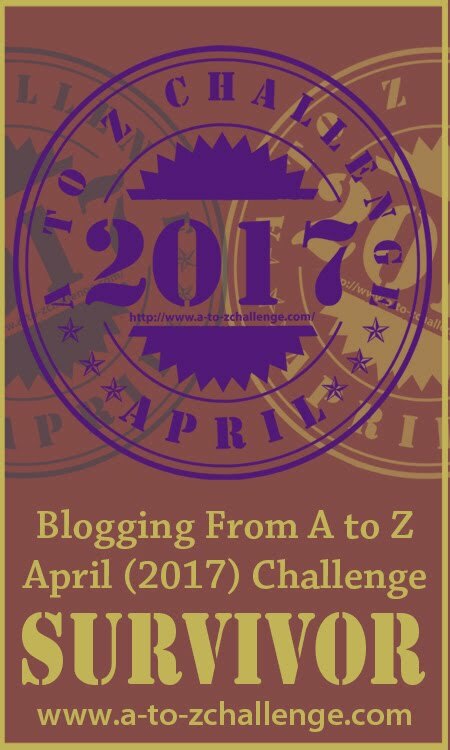 Please visit my blog again in April to see all my official A to Z challenge posts. I’m looking forward to seeing what other people are going to do with their A-Z challenge too. One of the best parts of the challenge last year was virtually meeting other bloggers. What is your theme? Have you seen any other themes posted this year that you’re especially excited to visit during the a to z challenge? One of the best trips ever was a spur of the moment trip Bar Harbor. Looking forward to reading your posts. I got engaged up in Bar Harbor. It’s a beautiful area. We also only got to see Bar Harbour for a few hours on our cruise but like you I’m gearing up for A to Z on family stories. I won’t have solved all the mysteries by then but I do have a post planned for X! Oh, I’m impressed that you have “X” already covered. That’s always a tough one. Made in Maine stuff sounds new and exciting to me. I look forward to reading more. All the best for the challenge. Thank you – good luck to you as well. I can’t wait to see what everyone else is doing. I really enjoyed the challenge last year. Yes, I’m looking forward to your posts. I can relate to your theme. Enjoy the challenge. Thanks for visiting. It is always so much fun to see what everyone is doing during the challenge. I’m impressed that you’ll be doing the a to z on two blogs. Have fun! This sounds fabulous – love travel, craft, and sustainability, so you’ve hooked me straight away. Really looking forward to seeing what you come up with for each letter. Enjoy your second year. Thank you for the visit. I look forward to seeing your posts too! This sounds like a creative and a challenging theme! Look forward to reading more. Best of luck! It was a lot of fun to research. I’m hoping to get most of it queued before the start so I can spent my time visiting other bloggers during the month. It’s always so much fun. Thank you. April is going to be here in a blink. Still frantically pulling everything together but getting close. Excited to read about all things Maine. 🙂 All the very best for the incredible ride. Sounds great fun to research some local products and learn a bit more about them! It really has been interesting and I’ve learned about so many things which is always fun to do. Sounds like a great theme, and I look forward to following your posts. I sadly won’t be able to partake this year since I just had a baby girl a little over a week ago and my hands are full at the moment, but I’m glad to hear you are! Looking forward to hearing more about my mom’s birthplace through your posts! That’s wonderful news. I bet your hands are full. Congratulations! Thank you for stopping by my theme reveal. I’m looking forward to this year’s challenge. Maine’s beautiful, so I’m hoping for lots of pictures. Great idea. Personally, my theme is things that begin with the letter M. It seemed like more or less the most ridiculous thing I could do for an alphabet challenge. There will definitely be lots of pictures. I’m hoping to get more of it ready to go this week so I’ll have time to edit and tweak. Good luck with the challenge and your super fun theme! Thank you. Visiting other blogs is a lot of fun during the challenge. I’m hoping to get all most posts finalized before the kickoff so I can focus on that part of the challenge. So far, I’m up to A so better get going! I like the sound of your “manufactured in Maine” theme! I love reading about local artisans and creative endeavors from different countries/communities. I do too! I love seeing the amazing things people create. It’s so inspiring. Love the theme! We are in for a lovely treat 🙂 All the best! Thank you. I’m excited for this year’s challenge and looking forward to visiting other sites too. The Portland and Cape Elizabeth, Maine, area belongs to hubby’s and my favorite places in the U.S., So I hope to get some fix for my ithcy feet here! It’s a great area! Although, clearly I’m a little biased. I love destination blogs too! I’m always looking to plan my next trip. Maine is on my bucket list. Excited to read you posts to learn more about a state with views, lobster, and Stephen King (among other cool stuff). I’m always adding more to my bucket list. Glad to see Maine is on yours! Wow! I am going to stop by this place to know more. You have chosen a very interesting theme and here’s wishing you the best! Thank you. There are lots of fun things to highlight about Maine. It’s a great place. Cool idea! I’ve always enjoyed Maine whenever I’ve visited. Looking forward to learning more about local goods! (I bought the most awesome lobstah socks at the Twilite Motel’s gift shop in Ellsworth, but I don’t think they’re ME made). Glad you’ve enjoyed your visits to Maine. It’s a fun place. Thank you for stopping by my blog. So glad to see that you are back! I’ve had a lot of fun researching this theme. I’ll be sure to stop by your blog too. Oh, I’m looking forward to this one, if only because I’ve already enjoyed seeing some things that would fit the them on your blog already! I’m passing on A to Z this year – I already post every day, and I couldn’t think of something additional that would really add a lot to the blog. On the plus side, perhaps going to visit other blogs will inspire a topic for next year! Yes, you’re really great about posting daily! I need the jump start of the challenge to recharge my inspiration plus I love visiting other blogs to see how they’re tackling it. It does make April a bit of a blur though. It really does – I have a good routine now. I’m slightly worried I would get a little burned out with another daily post! Yes, that makes sense. You’re already in a good groove! Although, I’m always happy to see more pictures of Choppy and Schooner. I am working on more Midnight Mutts posts – now that it’s nice outside (well, relatively nice), I get more pictures. You can only take so many pictures in the house without getting a lot that look alike! This sounds so fun. I look forward to seeing all the neat things made in Maine next month. You’re doing research for you A to Z, which makes me feel a little like I’m cheating since I’m writing fiction this year. Writing fiction is hard work and definitely not cheating! Good luck with the challenge too. Congratulations on one year of blogging! I like your theme, I look forward to your posts. I am in Massachusetts so not too far from Maine. Thank you! Massachusetts isn’t far at all. You may even already know about some of the made in Maine things I post about during the challenge. Thanks for visiting. Sounds like a brilliant theme. It is always so informative to hear a local’s knowledge. I look forward to hearing all about your local artisans and businesses. It was a lot of fun to research the topic. Looking forward to kicking things off tomorrow. What a wonderful way to promote Maine! 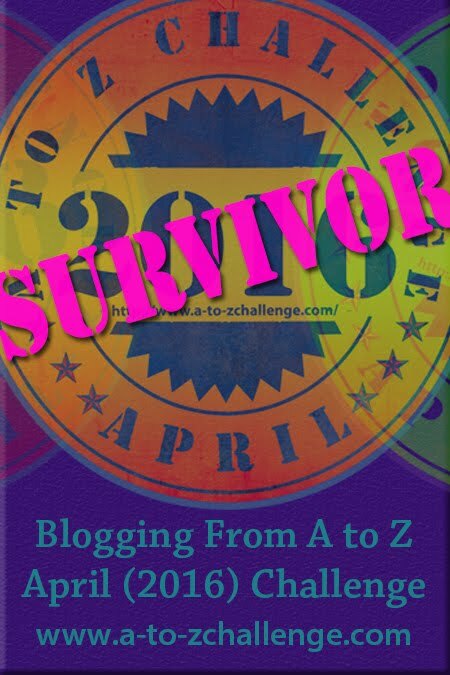 Welcome back to another A to Z Challenge. Have fun! I’m looking forward to the challenge again this year. It’s always fun! Thanks for visiting my blog. Looking forward to seeing your posts this year too.